As the daughter of a chiropractor, Ohio native Dr. Jess Young is dedicated to helping Iowa City families get well and stay well. 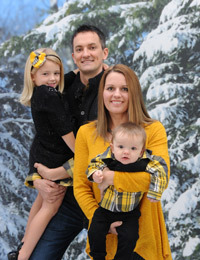 She grew up with chiropractic care since birth and had an exceptionally healthy childhood, never needing medical care. She loved hearing her dad’s patients say how great he made them feel, and how much he improved their lives. Dr. Jess pretended to be a chiropractor even before she could walk and adjusted her Care Bears for practice. When she got into college, she joined the military and was part of the Air National Guard. It was in the military that she had her first exposure to conventional medicine. Dr. Jess realized, however, that the medical approach just masked symptoms and ignored the root causes of health problems. She knew chiropractic was what she wanted to do as it was a natural, effective way to keep you healthy and strong. As a mother of a little girl and baby boy, Dr. Jess is passionate about providing chiropractic care to families. As her own daughter and son get adjusted, Dr. Jess has seen the positive effects of chiropractic on children. She believes that families can benefit from this natural alternative to traditional health care. 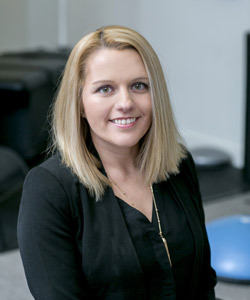 Dr. Jess would love for you to understand how chiropractic can help you and your loved ones. She loves to answer questions, so feel free to ask away! A graduate of Palmer College of Chiropractic in Davenport, Dr. Jess enjoys learning and also seeing patients of all ages, including infants and seniors. Her natural approach to health care helps her patients find relief from pain and learn a new way to maintain a life of wellness. When she and Dr. Jake aren’t working, they enjoy spending time with their young daughter and newborn son. Drs. Jess and Jake particularly like coaching their daughter’s community soccer team. Dr. Jess and Dr. Jake also enjoy a variety of family outings such as going to the zoo and park. Discover how Dr. Jess can help you become more active. Call us today at (319) 337-6000!